Potato starch is a natural ester with unique functionality. By cross-breeding and through cultivation this ability to form a phosphate ester is optimised, but nonetheless these efforts are not enough to cope with the plentiful applications. Therefore agronomists go hand in hand with bioengineers genetic engineering the properties to the industrial needs and we are joining them. Still some years, however, the chemists have a role to play. Still some years, native starches have functional groups chemically "implanted", their chains shortened, straightened or made more bushy - all to meet particular industrial requirements. We may use physical methods, dry or wet chemical reaction. Some modification units operate in line and is switched on and off as a light switch and others need separate installations, but whatever the method the chemist is indispensable to make it work. 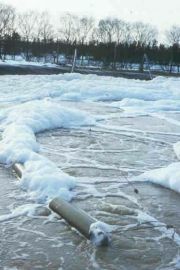 Effluents from certain processes are not suitable for recycling to farmland by land spreading. 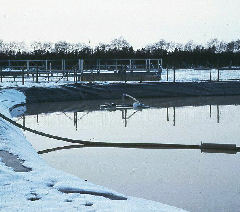 Effluents resulting from chemical modification of starch may require a treatment before discharge. 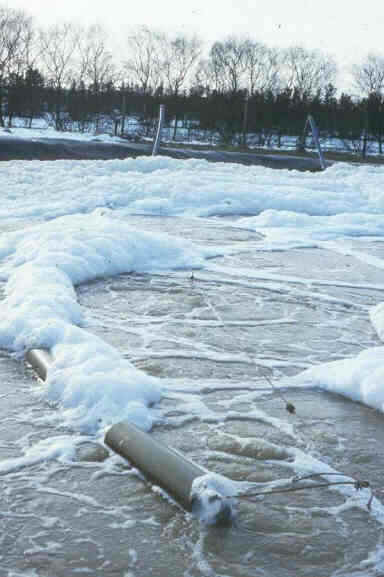 The traditional methods used for household sewage does not work for that simple reason that effluents from a starch derivative plant are not a steady and proper balanced diet for microbes. 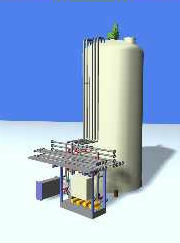 We studied the behavior of effluents from chemical derivatisation in a one PE (Person Equivalent) bench scale equipment. After sampling data from continuous operation under various conditions and during prolonged tests we solved the problems and determined the parameters for successful operation of an artificial aerated sewage plant able to handle even difficult effluents. Constructed wetlands is an efficient, reliable and energy saving alternative of particular advantage in the Tropics.